The all-around configuration with the long-range magnification accuracy of the Bushnell 4-16x 40mm CF 500 Banner Riflescope will improve your precision on the field. Fully multicoated optics and Bushnell’s own Dusk & Dawn Brightness (DDB) multi-coating process gives you the brightness and clarity you need to fill your tag in those critical first and last minutes of daylight. Fully waterproof, fogproof and shockproof, the Bushnell 4-16x 40mm CF 500 Riflescope is designed to meet your needs out on the field. 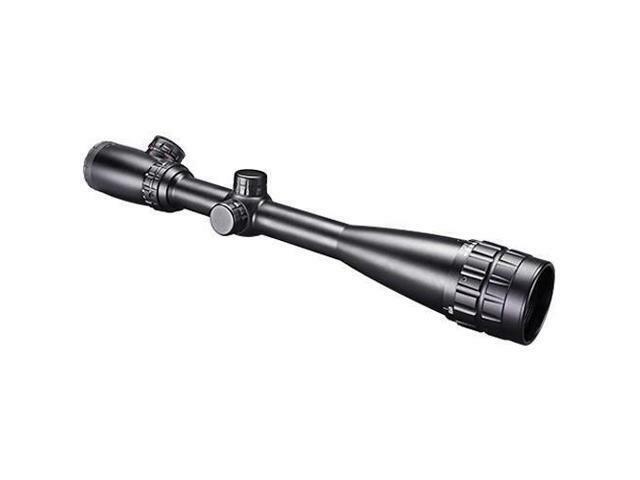 The Bushnell 4-16x 40mm CF 500 Banner Riflescope is equipped with multi-coated optics for superior light transmission and brightness. What's more, the brand's own Dusk & Dawn Brightness (DDB) multi-coating process ensures that you'll have the best view possible to improve your shooting accuracy for a successful hunting mission. Compared to other riflescopes in its class, the Bushnell 4-16x 40mm CF 500 Banner Riflescope stands out when it comes to delivering reliable performance. O-ring sealed and nitrogen purged, this riflescope can withstand full immersion in water and still remain dry inside. Also, no matter what environment you encounter, you can assure that the interior optical surfaces won’t fog up on you due to rapid temperature change or humidity. Boasting a CF 500 Reticle, the Bushnell 4-16x 40mm CF 500 Banner Riflescope is specially designed for use with today's most popular centerfire rifle cartridges. Sighted in at 100 yards, the CF 500 reticle provides aiming points at every 100 yard increment, out to 500 yards. When it comes to pin-point precision shooting, your accuracy is only as good as how fast you can lock in on your target. The Bushnell 4-16x 40mm CF 500 Banner Riflescope features a fast-focus eyepiece that instantly gives you a clear shot of your target. This item is covered by aSavings Return Policy.